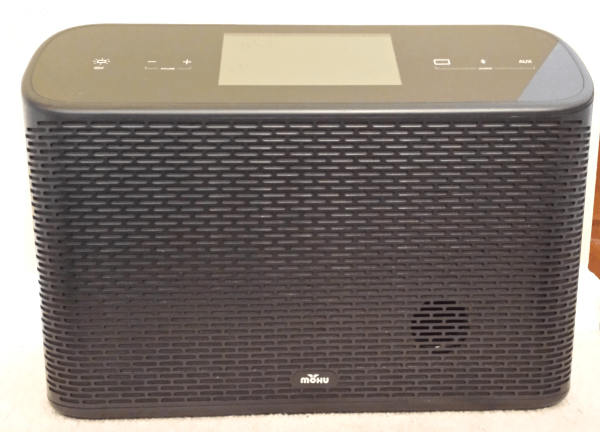 If you’ve ever longed to play your MP3s for a party and Bluetooth speakers just didn’t cut it, check out Mohu’s new BeBox, a modern day boom box for digital music. 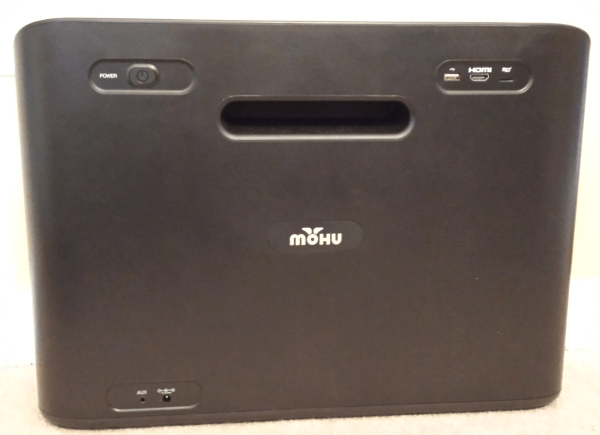 Mohu is best known for their innovative wall-hanging flat HDTV antennas, but they offer other tech products as well, including the new Android-powered BeBox device. 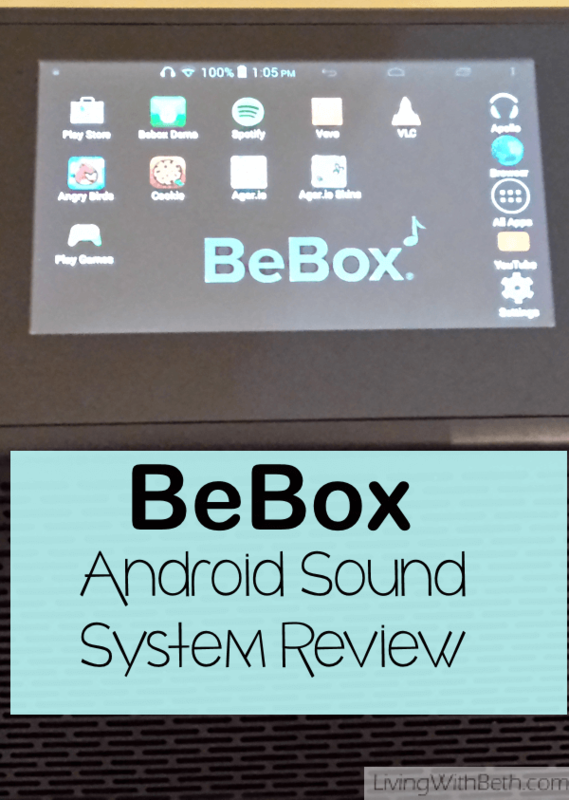 BeBox takes an Android 4.4.2 KitKat tablet, complete with color LCD touchscreen, and slaps on some high powered speakers to create an exciting new option for audiophiles and party hosts. 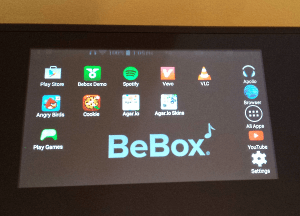 BeBox contains a real 7″ Android tablet, including access to all the apps of the Google Play Store, easy setup and connection to your home’s Wi-Fi network. BeBox comes with its own AC charger and can run on battery for at least 8 hours, so you can take it anywhere without worrying about finding a place to plug it in. You can play almost any type of audio file on BeBox, including MP3s and all other Android supported formats. BeBox can play music over your home network or from a USB flash drive of up to 64 GB in size, a microSD card of 32 GB or smaller, a Bluetooth connection or an external player through an included 3.5 mm aux cable. 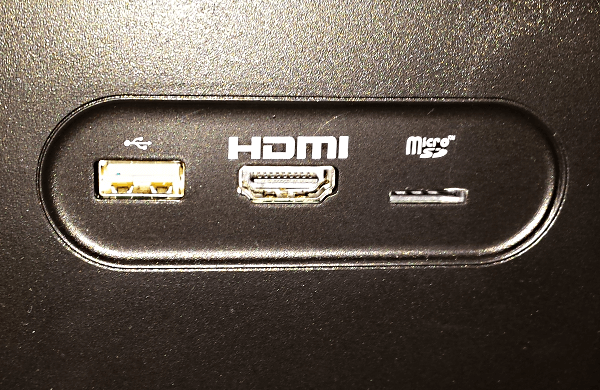 You can also hook up an HDMI cable to a screen and stream videos from the BeBox. Of course, the BeBox can also stream music through Android apps for Spotify, Amazon Prime Music, Google Play Music, Pandora or whatever other service you prefer. It boasts a 6.5″ high-performance, long throw woofer, two soft dome tweeters and two 3″ midrange drivers. The device’s sound quality exceeds what I’ve heard from Bluetooth speaker options – the kind that you use with a tablet or smartphone. Measuring 19″ by 13.3″ by 5″, BeBox is easy to transport anywhere you go. Just grab the 14.5-pound BeBox by its rear handle and carry it to the beach, backyard party, school function or where ever. Remember those huge boom boxes kids used to carry around? They required 8 or 10 D batteries and played radio stations plus audio cassette tapes or CDs. The BeBox reminds me of those old jam boxes, but it doesn’t eat batteries and you don’t need to carry around tapes or CDs. Young folks haven’t carted around boom boxes for years. They long ago graduated to handheld devices, but BeBox delivers the best of personal music-playing gadgets plus the ability to play digital tunes and music streaming services for a crowd. You can also play tunes at home, loud enough for you to hear as you work on household chores, without lugging around a player with ear buds. Since BeBox contains a fully functional Android tablet, when it’s not engaged as a digital music player, kids can use it to play Angry Birds or other games from the Google Play Store. It’ll also play YouTube, including music video playlists, which look fantastic on BeBox’s 1024 x 600 display. 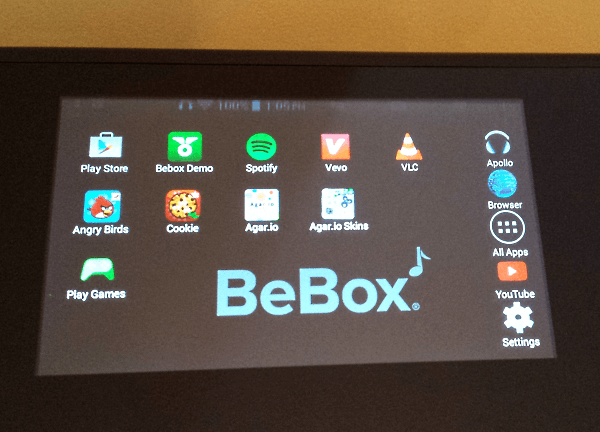 Apps generally install and run smoothly on BeBox’s ARM Cortex-A7 quad-core processor. BeBox setup was just like going through the initial steps on any Android tablet or smartphone, so you’ll find it familiar if you already have Android devices. It joins your home Wi-Fi network in a flash and connects to your Google account for access to email and the Google Play Store. I recommend disabling any notifications for email, Hangouts, Facebook, Twitter, calendar, tasks or anything else that might annoy you with beeps which would interrupt your music playing on the BeBox. BeBox doesn’t include an FM radio tuner, but you can find online streaming for most radio stations using FM streaming apps available through the Google Play Store. At this time, you can only buy BeBox through Mohu’s website, where it costs around $500, which is about what you’d have to fork over for an iPad. I used a demo device for the purpose of this honest review.